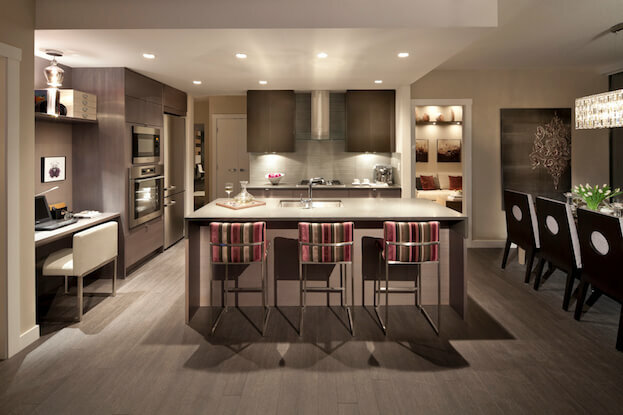 The traditional kitchen is going away and new, transitional kitchens with quartz counters, wood floors, specialized cabinets and clever automation are taking form. But that?s not all. 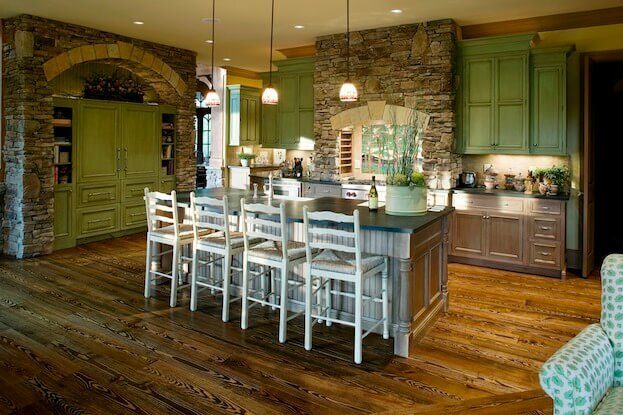 There are plenty ofkitchen remodeling trends taking shape that will surely be in style come 2016. 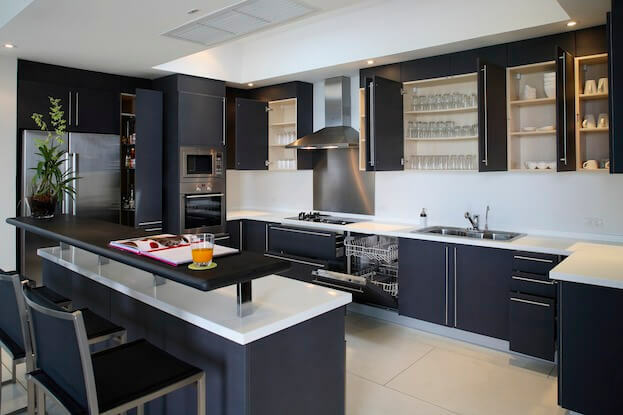 With more and more homeowners going the transitional or modern route, white kitchen cabinets have started to take shape. 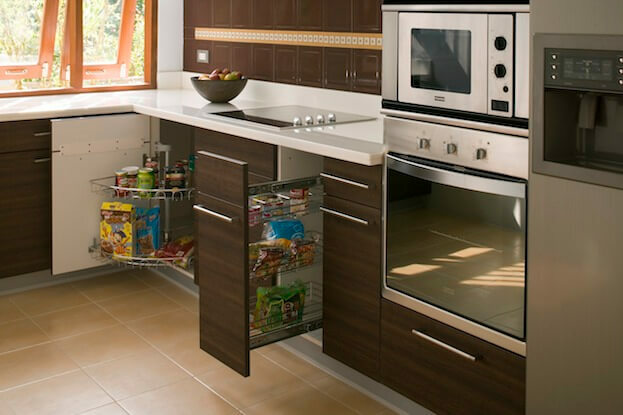 According to Houzz?s 2014 Kitchen Remodeling Survey, 49% of their 3,500 users said they currently own white kitchen cabinets. 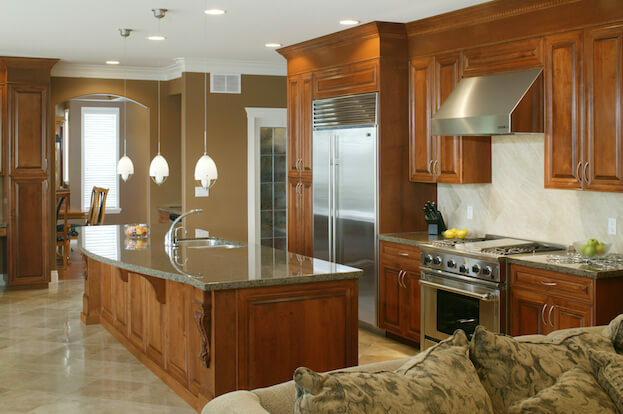 Clearly, white is the dominant color for kitchen cabinets in 2015 and most likely, will remain so next year. However, gray is quickly climbing the color ranks as some opt for a more neutral look that can match the rest of the home. Don?t be surprised if you see white shy away in 2017 and beyond. 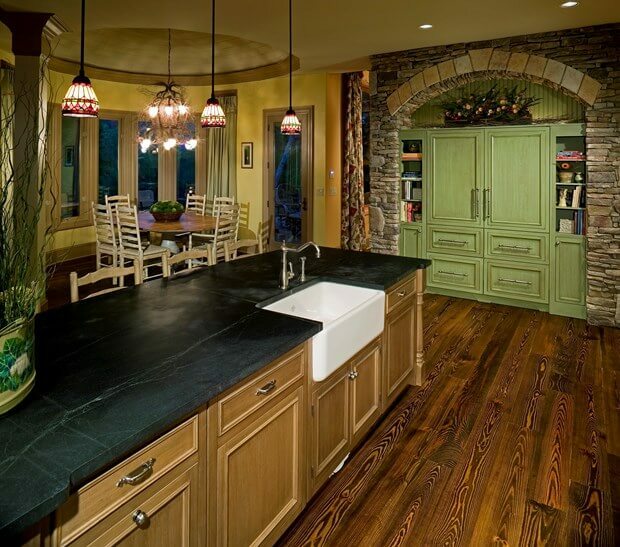 There?s no better or more popular kitchen countertop option for 2015 and 2016 thanquartz counters. 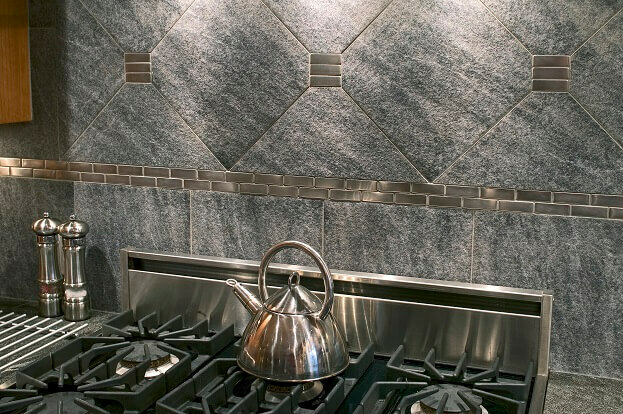 Nonporous and resistant to heat, quartz countertops are resistant to spills and scratches, making them a smart choice for families or busy cooks (so everyone). 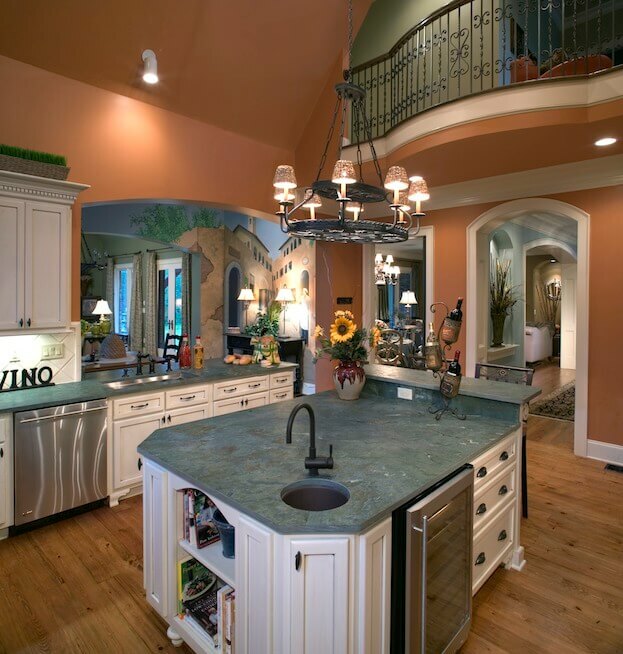 Despite white trends, many are using their apron sink to add a punch of bold color into the kitchen. Subtle colors are terrific in the kitchen and the apron sink is the perfect solution. 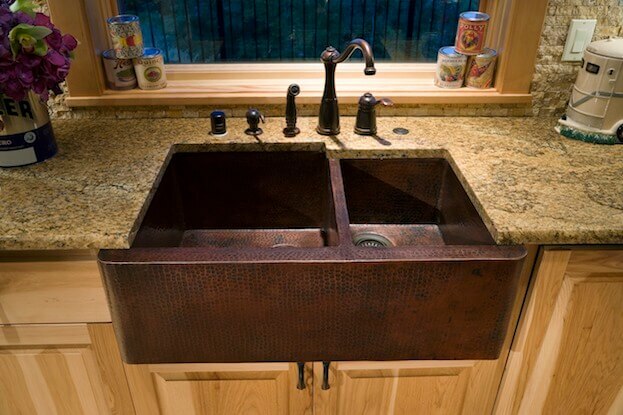 Don?t be afraid to step outside the typical color pattern for your next farmhouse sink. As I said with backsplashes, trends are trends because a large majority says so. Oftentimes, we step away from the majority and go down our own path. So, if your personal tastes don?t match any of these trends, go your own route. If you plan on occupying the house for years, don?t worry about the resale value (for now). 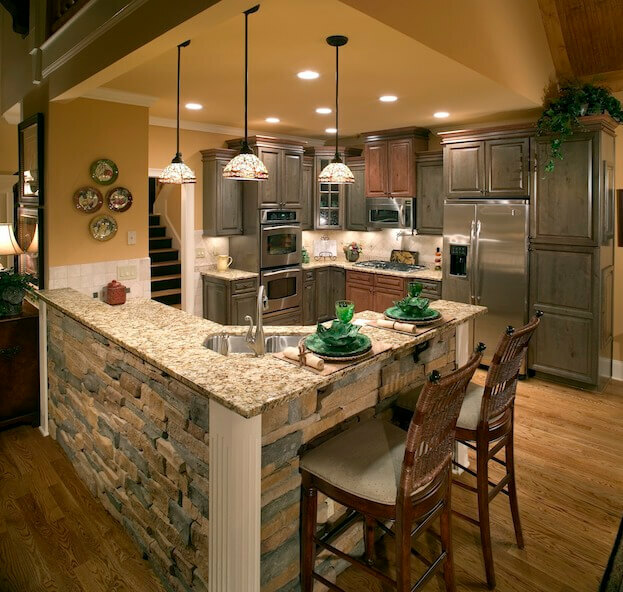 Just know that when the day does come to sell the house, the more off-trend your kitchen is, the harder it will be to close the deal.